For many years, newspapers and other news publication have sold home plans. The Detroit News was no exception. From 1923 to 1924, the Detroit News sold a home plan that had a marked resemblance to the Sears Barrington, Sears Brookwood, Aladdin Newcastle, Aladdin Sovereign, or Wardway Maywood. This was a common style of home in the day, so clones were to be expected. Home Builders 1928 Catalog front cover. At this time, Home Builders had been in the plan book business for a fair few years. They were one of the major players in this industry. They had many models in the “English Cottage” architectural style, as this was a popular style at the time. Not surprisingly, there were many Barrington-likes from every player in the industry. Home Builders even had some other Barrington-likes, the Cleveland (C.L. Bowes had an identical model of the same name), Cabot, and Chalmers models. Standard Homes Company had the Bancroft and Rockland models. C.L. Bowes had the Arborhill model. Suprisingly, William A. Radford Co. doesn’t seem to have any sort of Barrington-like. 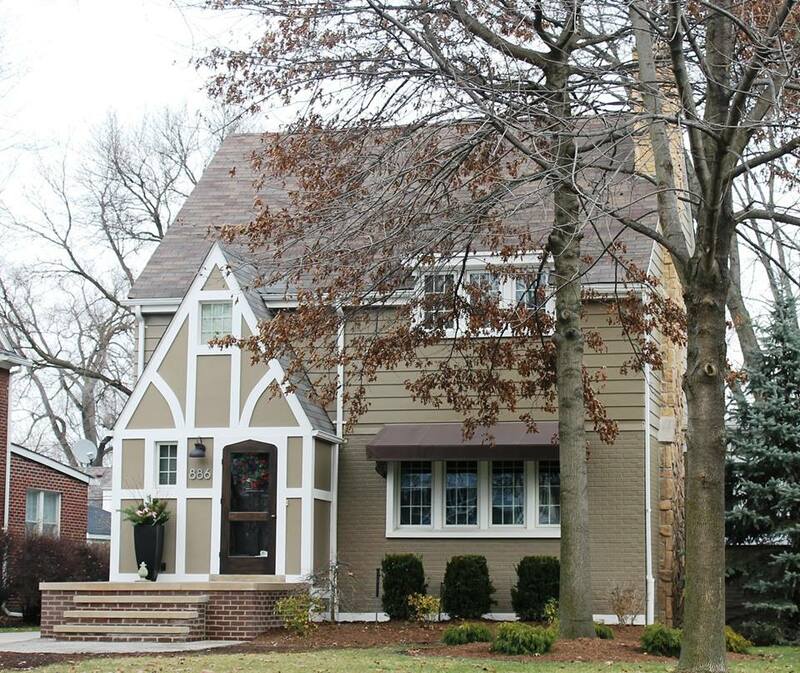 So far, this is one of three authenticated Detroit News plan book homes. It has been authenticated by blueprints. Said blueprints are currently in the possession of the Grosse Pointe Historical Society. Photo copyright Benjamin Gravel 2015. It cannot be reproduced without his permission. 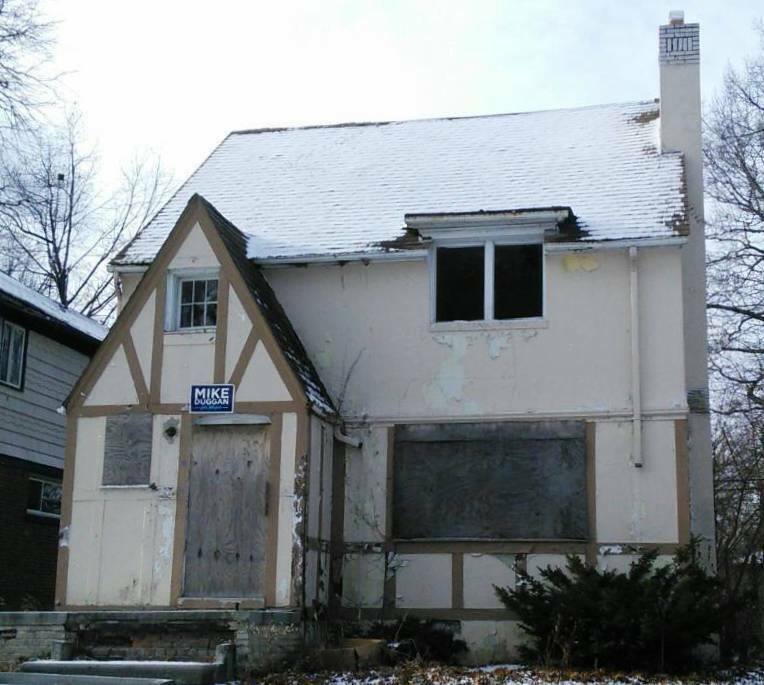 This is one of three authenticated Detroit News plan book homes. It has been authenticated by the original plans. Said plans are currently located in the archives of the Grosse Pointe Historical Society. Photo copyright Benjamin Gravel 2015. It cannot be reproduced without his permission. The Detroit News was not the first or only newspaper to offer plan book homes. The municipality of Glencoe, IL has identified a plan book home from the Chicago Tribune in their jurisdiction. A copy of a 1950 book of home plans from the Detroit Times-a now defunct competitor-is available online. Finally, Benjamin Gravel has identified multiple examples of various house plans from the Detroit News’ main competitor, the Detroit Free Press, throughout Detroit and certain inner-ring suburbs. Scan from 1928 Home Builders catalog on archive.org. Recently, whilst combing through old architectural catalogs on archive.org, I found this and knew something was familiar. Shortly after, I checked out some of the Detroit News homes Benjamin and myself have found, and compared the authenticated examples he found in the Grosse Pointes. While checking out 1325 Grayton St-the most original of the three authenticated examples-I knew I had an exact match. The half-timbering patterns matched, the window locations matched, everything seemed to match. Photo copyright Benjamin Gravel 2015. It cannot be reproduced without his permission. Yup, everything was good. Window placement, check! Half-timbering patterns, check! Brickwork pattern on top of chimney, check! However, one thing kept nagging at me. In the bottom right corner of these blueprints, it is noted that the original architects were from the Home Building Department of the Detroit News, not “Home Builders”, or something of that ilk. This leaves me wondering which came first. Was it the Channing (chicken), or the Detroit News home (egg). One would guess that as the Detroit News home was sold from 1924-25, and that the earliest trace of the Channing dates to the 1927 catalog (thank you Cindy Catanzaro), the rights to the Detroit News home were sold off to Home Builders, to become the Channing. Still, all that we researchers have at the moment are little more than educated guesses. 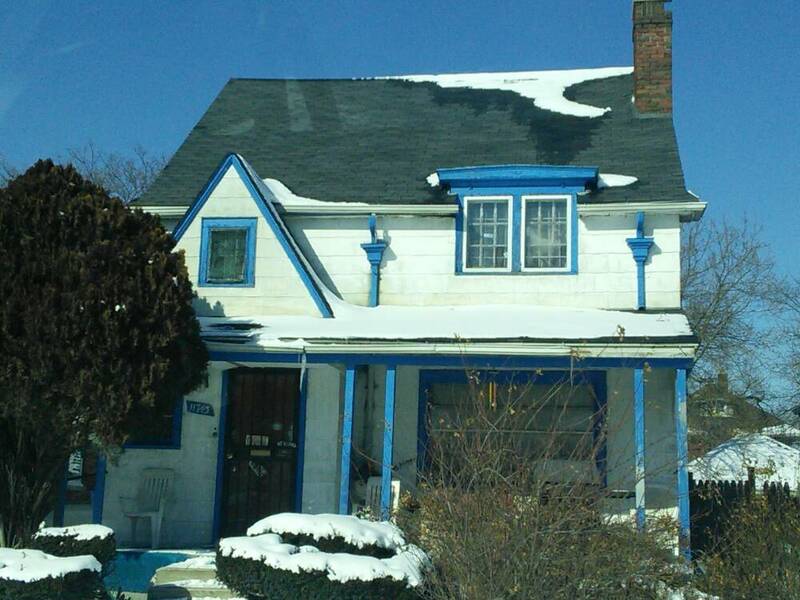 To finish this off, here is a parade of Detroit News homes Judith Chabot and myself have found. This has the original brickwork pattern that can be seen on the top of the chimney for the Channing, and in the plans for 710 Rivard Blvd in Grosse Pointe. 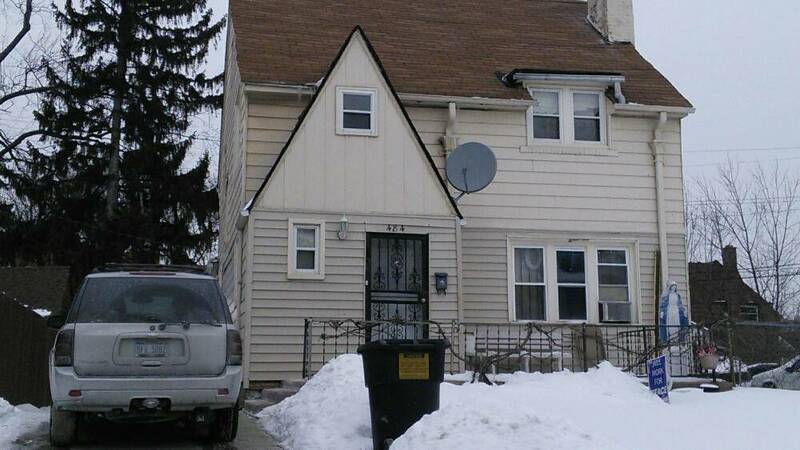 These were the first probable Detroit News homes that I had found. At the time, I was just getting started with hunting kit and plan book homes, and Detroit News homes weren’t on my radar. Of course, I just dismissed these as examples of nameless Barrington clones, not realizing what I had found. 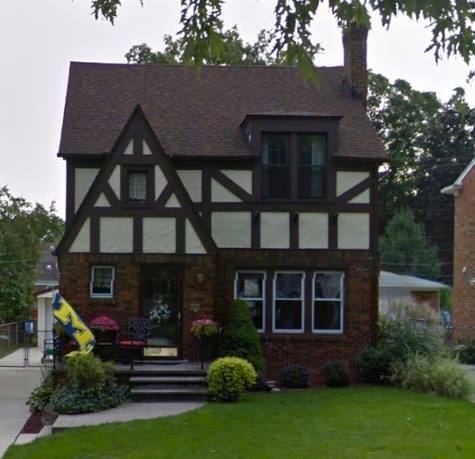 A while later, I found this while Google driving the West Side of the Detroit suburb of Dearborn, MI. After consulting with Benjamin, seeing as he is the expert on all things Detroit News plan book home, he gave it an “ok” as a probable example. 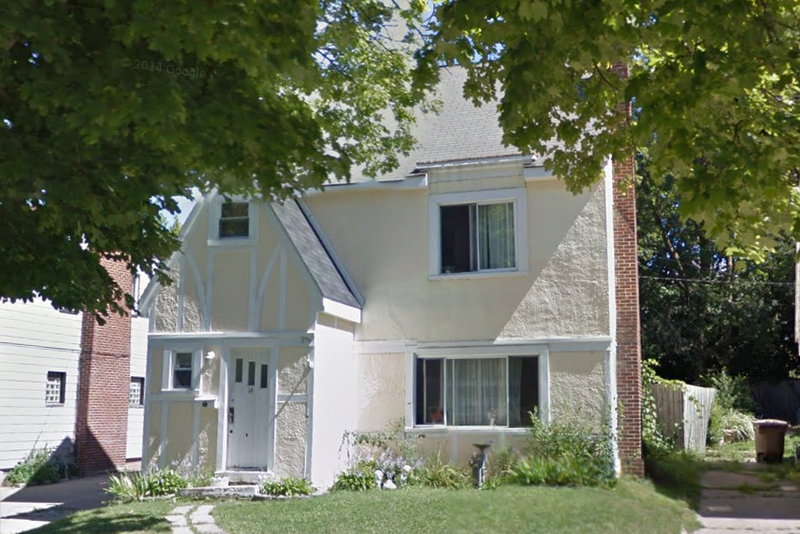 As with many other of the probable Detroit News homes I have found, this was discovered via incessant Google driving. Of all the houses found that have not been authenticated, this is, or more aptly was, the most original of them all. I say was, as this house was demolished in 2014. The Indian Village neighborhood in the Detroit suburb of Pontiac has five probable examples of Detroit News plan book homes. This is the nicest and most original of those five, in the opinion of yours truly. All five examples can be found on Mohawk and Utica Roads, with two on Utica, and three on Mohawk. 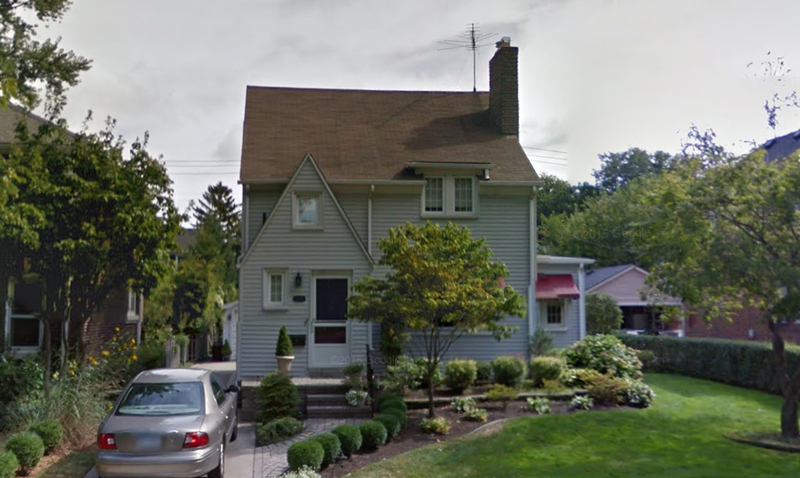 Be wary before declaring that their is a fourth example on Mohawk Rd, as researchers Andrew and Wendy Mutch have found a mortgage for a Sears Barrington on Mohawk Rd, in the Indian Village neighborhood. This example is my most recent find. As with the others, it is a probable example. It is also just a few blocks away from the first two examples I found. Outro from episode of Looney Tunes. Image credit: Warner Brothers. 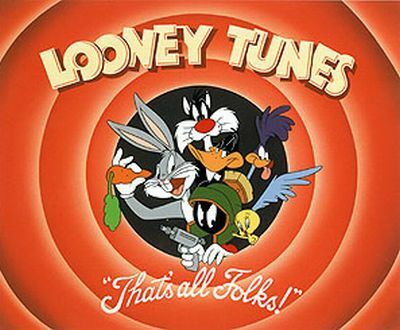 Until the next time, that’s all folks! If you know of a Detroit News plan book home, or any other plan book home for that matter, please let me know in either the comments section, or via the “Contact Me” form. This entry was posted in Uncategorized and tagged 11743 rosemary st detroit mi, 1325 grayton st grosse pointe park mi, 1923, 1924, 1928, 4335 courville st detroit mi, 710 rivard blvd blvd grosse pointe mi, 866 wshington rd grosse pointe mi, Aladdin Newcastle, Andrew and Wendy Mutch, Andrew Mutch, Antique Home, archive.org, authenticated, Barrington, Ben Gravel, Benjamin Gravel, blext, blexting, Brookwood, Channing, Chicago Tribune, CL Bowes Arborhill, daily bungalow, Dearborn, Dearborn MI, Detroit, Detroit Free Press, Detroit MI, Detroit News, Detroit Times, english cottage, grixdale farms, grixdale farms neighborhood, grosse pointe, Grosse Pointe MI, grosse pointe park, Grosse Pointe Park MI, half-timbering, Historical Detroit Area Architecture, Home Builders, Home Builders Channing, Home Builders Cleveland, house plans, indian village, indian village neighborhood, internet archive, Judith Chabot, Kit House Hunters, looney toons, Loveland Technologies, Maywood, morningside, morningside neighborhod, Motor City Mapping, National Database of Sears Homes, Newcastle, pattern book home, plan book home, Pontiac, Pontiac MI, ravendale ravendale neighborhood, Sears Barrington, Sears Brookwood, Sears House Seeker, Standard Bancroft, Standard Rockland, tudor, Wardway Maywood, Wendy Mutch. Bookmark the permalink. This is very interesting–well researched and well presented, Nigel 🙂 I’m really glad that you introduced us to these Detroit News homes, a while back. As always, great finds, sir! Nicely done! Looking forward to future posts.